You won't be forced to pay for Mario Kart. Nintendo’s upcoming Mario Kart Tour game will be “free-to-start” on mobile, developer DeNA has confirmed. Much like Animal Crossing and Fire Emblem Heroes, you’ll be able to enjoy the game without coughing up any cash, though optional in-app purchases will provide some advantage. 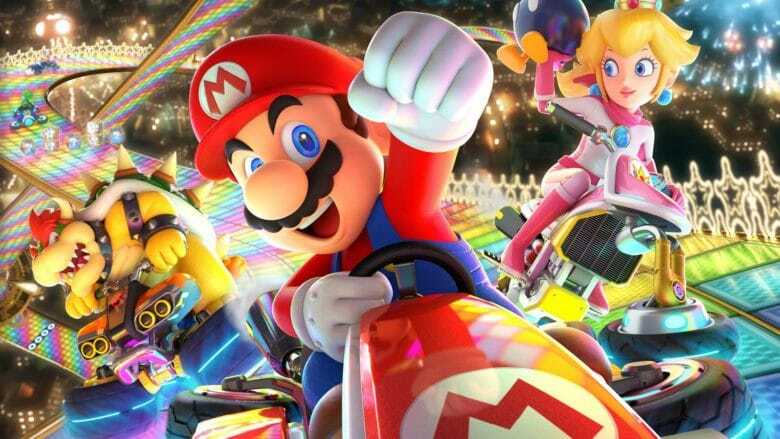 Mario Kart has become one of Nintendo’s most successful franchises, outselling The Legend of Zelda: Breath of the Wild and Splatoon 2 on the Switch. That makes Mario Kart Tour one of the most anticipated Nintendo games on mobile — and you’ll be able to play it for free. The term “free-to-start” is a little confusing. It suggests that you’ll be able to download and play some of the game without paying a penny, while the rest will be locked behind a paywall. But Nintendo uses the term differently. Free-to-start means free-to-play. Nintendo learned its lesson with Super Mario Run. It offered the first few levels for free, then forced us to pay $9.99 to unlock the rest of the game. Despite tens of millions of downloads, the title hasn’t been as lucrative as other Nintendo releases because many don’t want to pay $10 for a mobile game. More recent Nintendo games have all be free to download, and you can enjoy them as much as you like. The in-app purchases are optional, and you don’t have to buy them. Nintendo has made more from these titles despite this, since players are more willing to pay smaller fees to progress faster. Mario Kart Tour will almost certainly take the same approach, then, which is great news for mobile gamers. It could be that in-app purchases will allow you to unlock new karts and tracks faster, or participate in events that you would normally need to earn tickets for. But you won’t be forced to pay. Mario Kart Tour is scheduled for release “in the fiscal year ending in March 2019.” In other words, that’s anytime between April 1, 2018 and March 31, 2019.